My Outside Voice: Junk Bonanza! A couple of weeks ago I mentioned that the boy and I went out to the Junk Bonanza. We had SUCH a good time, found some really fun stuff and got some great ideas! I wanted to share with you some of the pictures that I took of some of the spaces and objects that inspired me and gave me some ideas. I have a couple of small stools around my house (who am I kidding, I am vertically challenged at almost 5'2" so I have a step stool in each and every room including my closet and my guest room closet) and when I see unique ones I like to pick them up. I did not however buy this one, but I really liked the use of the rulers! I have a small collection of tin picnic baskets. I really liked the shape of this one and thought it was very unique. I love the look here, how the scale was displayed on top of it. I can see it in a kitchen somewhere if you had the right space. At the moment, I do not, but I have seen these scales at sales and have been tempted in the past to purchase. I may have to pick one up to stick away for a rainy day! I don't have kids of my own, and neither of my nephews play baseball, but I just LOVED this and if I had a little boy I would love to decorate his room and could just see this hanging on his wall. Just love this! I am not sure how hard this would be to make yourself, but I think I would give it a try. . . I LOVED these bottles, they were a little pricey though and I figured I could make them myself. Well, I should have taken a better picture because now I can't remember what it said on them and I have done a couple of searches (I am not done thoroughly investigating yet) and not come up with anything, but I am definitely going to give it a try! I kept thinking about these little cages with the skeletons, and my dad was out at the Bonanza the next day helping out, so I called him and asked him to pick one up for me, I thought it would be something fun to add to the spooky decor. See the matches? How cute are those? I think they would also be pretty easy to make and would be great hostess gifts this time of year with a candle! This is from a booth that I really liked a lot. AND I found out that the woman who had the booth, has a shop right by my house! I have not had a chance to make it in there yet, but it is on my ta-da list! I took this picture though specifically because I thought it was such a cute idea and I have a dish like this, and I think I also have something that could work like the glass dome, if not, you know I will be on the lookout! But what a cute way to display a candle! I have quite a few pillows on my bed (I do not have a headboard, I have been looking and looking but just have not found the right one) but the pillows I have had on there, have been there forever and I guess I am just starting to get bored with them. 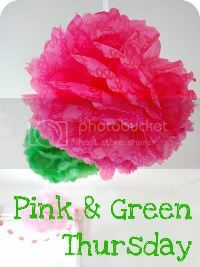 I thought these were some really cute ideas, I have a few chenille bedspreads as well as a ton of hankies, so I thought that this would be something fun to do. . . if I knew how to sew. . . but who knows, maybe I will learn! I loved this idea! Can't you just see this displayed for a tea or just a dessert gathering with some little Italian cookies or small biscuits, even some finger sandwiches! I have a ton of glasses and plates, one of the things on my ta-da list is to go through my built-ins in my dining room and pare it down a bit, this would be a great way to make use of some of the mismatches! This would be a very fun and unique idea to create on your own as well. One of the things that I like to do is buy extra unique plates at the thrift store to take with an appetizer or dessert when I am invited somewhere. This would be another great thing to take along! I loved these pillows, the pictures and the screen door. If I EVER see a screen door somewhere reasonable, you can pretty much bet I will buy it. I have a million different projects I would like to try with one. I LOVED these, and thought they were some of the most unique items that I had seen there. If you don't know what they are, it is a garden totem and bird baths. I just loved them and I thought it was a really unique way to "recycle" things that people would usually throw away or give away to Goodwill or Salvation Army. When I had gone back to the booth that my mom had, her partner was working it that day, she said"oh yeah that idea is so over done, so and so originally thought of it but never copyrighted it so now everyone steals it. . .I don't know, I had never seen it before and these ladies had come up from Indiana and I just thought they were great. My friend J just re-did her backyard in Oak Park, IL, and I thought she might really like one of these, if I could have figured out how to get one down to her I would have. But I also took the picture because I thought maybe we could figure out how to make one too! Don't you think a bird would love to take a bath in one of these? Last but not least, they had a challenge to create a beautiful and unique Tablescape for under $40 (I think it was $40, but don't quote me on that) from ARC which is a great thrift store in the Twin Cities. I LOVED this, and I think that it just goes to show you that you can really be creative and thrifty. I got some really good ideas from this too. I loved the glasses, and of course now I am keeping my eye out for them! I can't wait to do my November table, I have gotten some great ideas and I just love the look of this one! I love using the little frames as place cards. And all of the candlesticks and holders I think look awesome! Look at how well the three different plates blend together? LOVE that! And the napkin ring? It is a drawer pull, very unique! I really loved this challenge and I would love to try it myself! I do change my table setting at least once a month, and also on my ta-da list is to go through my linens, I have TOO many at the moment and due to the fact that I have been keeping two leaves in my table at all times due to the amount of entertaining we have been doing, I need to keep larger table cloths handy. LOVE this challenge though, how unique! Thanks for taking my little tour with me, hope you enjoyed some of my favorite things as much as I did!